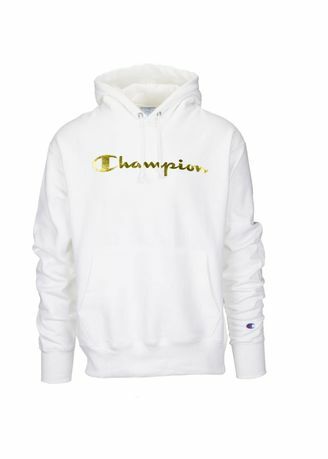 Get unbeatable coziness with the Script Fleece Hoodie from Champion. The brushed polyester interior is super soft, and the mesh-lined hood and drawcord let you adjust for comfort and coverage. Ribbed cuffs and a ribbed waistband offer you a snug fit, and the roomy pouch pocket in the front lets you keep small essentials close at hand. Non-irritating taped neck offers you additional comfort.